Cinema is where show films for people, consisting of Auditorium, public areas, screening room, and other rooms (including the VIP reception, construction equipment rooms and other intelligent systems). 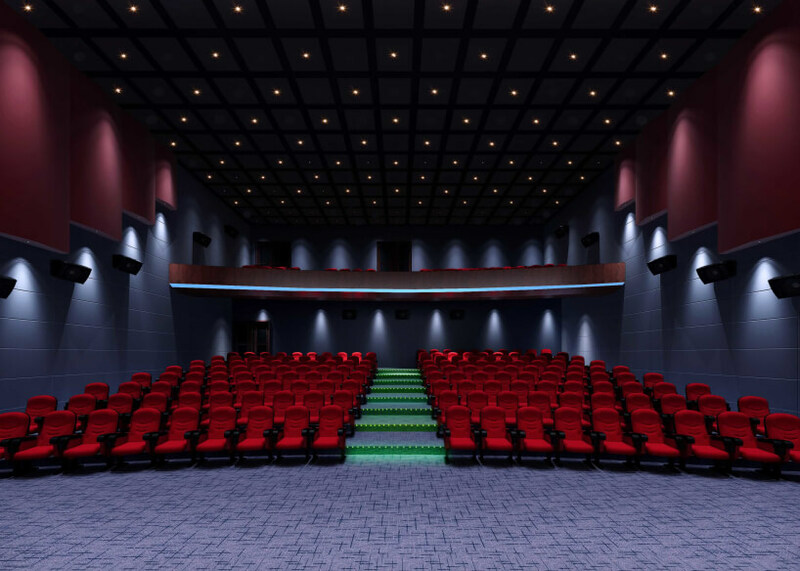 Eliminate the auditorium’s sound focusing, flutter echo, multiple echoes; reduce noise interference to sound reinforcement system, creating a good audio-visual effect, architectural acoustics design is an integral part of the cinema. Cinema architectural acoustics includes reverb control, acoustic design, noise control and other aspects and requirements. Cinema channel can be divided into: ordinary channels, stereo, four-channel, 6-channel. Capacity of cinema can be divided according to the size of the cinema: Super large, large, medium and small. According JBJ 58-2008 “cinema building design specifications,” cinema quality standards can be divided as: special grade, grade A, grade B, grade C.
Frequency Characteristics Table 5.2.2 special, A, B movie theater audience hall reverb schedule.